At United Furniture Club, we value our customers and we work hard to earn your business. Our low price guarantee policies insure that you pay the lowest price when shopping with unitedfurnitureclub.com before and after your purchase. The price you see on our web site is the price you pay plus sales tax and delivery charges if applicable. There is no confusing discount at the end of the check out process. We will match prices from other vendors. If you find a lower price please contact us at info@unitedfurnitureclub.com and we will research the vendor in question. If in fact the claim is valid we will rebate you the difference. Please note that any adjustment if any will be made at the sole discretion of Unitedfurnitureclub.com. We do not match prices from store close-out and clearance items. Shop with us and save more with our free delivery service. We do not charge extra for furniture assembly. It is included in our delivery. We will also rebate you the difference if you find a lower price for the same item from other vendors 15 days after you purchase from unitedfurnitureclub.com. Please contact us at info@unitedfurnitureclub.com and we will research the vendor in question. If in fact the claim is valid we will rebate you the difference. Please note that any adjustment if any will be made at the sole discretion of Unitedfurnitureclub.com. We do not match prices from store close- out and clearance items. unitedfurnitureclub.com is truthful in advertising, and we aspire to publish accurate selling prices for the products we offer. However, in the event a product is listed at an incorrect price or with incorrect information due to typographical error or error in pricing or product information received from our suppliers, unitedfurnitureclub.com shall have the right to refuse or cancel any orders placed for product listed at the incorrect price. unitedfurnitureclub.com shall have the right to refuse or cancel any such orders whether or not the order has been confirmed and your credit card charged. If your credit card has already been charged for the purchase and your order is canceled, unitedfurnitureclub.com shall immediately issue a credit to your credit card account in the amount of the charge. If an item's correct price is lower than our stated price, we will charge the lower amount and ship you the item. If an item's correct price is higher than our stated price, we will, at our discretion, either contact you for instructions before shipping or cancel your order and notify you of such cancellation. 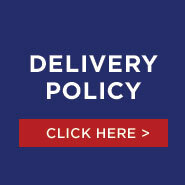 Please note that this policy applies only to products sold and shipped by. Prices from unitedfurnitureclub.com are subjected to change without notice.